This is a short piece I did several years ago for Atlanta magazine. Each mouth forms a perfect “O” in its serious, little face. Then an eerie, pristine peal of high notes rises from the Atlanta Boy Choir. If innocence has a sound, this is it. Even the most jaded listeners – especially those, actually – are transfixed. 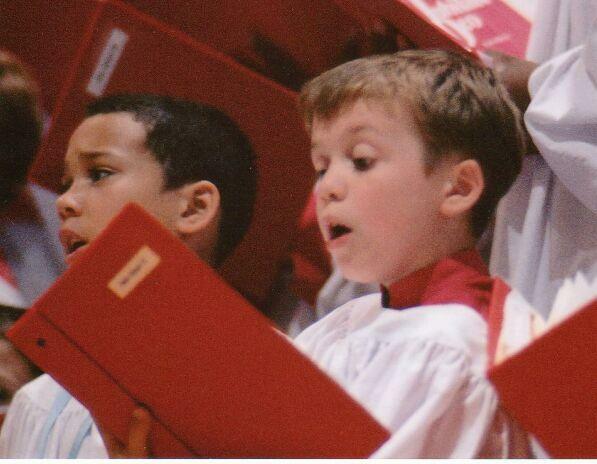 “After all this time, I still get choked up hearing this particular choir do ‘Ave Maria,’” says Adisa Nickerson, an Atlanta Boy Choir alumnus and its current executive director. Imagine the Pied Piper, in reverse. The Grammy-winning choir, regarded as one of the country’s best, was incorporated in 1957 by Fletcher Wolfe. It became Atlanta’s first musical organization to perform outside the United States, as part of John F. Kennedy’s entourage. This year, it celebrates its fiftieth season with gigs that range from the Oprah Winfrey Show to a tour of Russia and Ukraine. Thomas is one of 120 boys who meet every week for intensive rehearsals at the choir’s Druid Hills campus, which has stained-glass windows and navy and mustard walls, like a Brooks Brothers cathedral. The ABC takes boys as young as four and, until recently, retired them at puberty’s first crackle. “Singing past the voice change used to be thought unhealthful, but it can be done with guidance,” says artistic director David White. Hence the formation last year of the Atlanta Young Men’s Ensemble for those whose downy cheeks have developed stubble. In these times of hand-wringing over “the trouble with boys” – the so-called “Ritalin generation” – the Atlanta Boy Choir sounds that much sweeter.